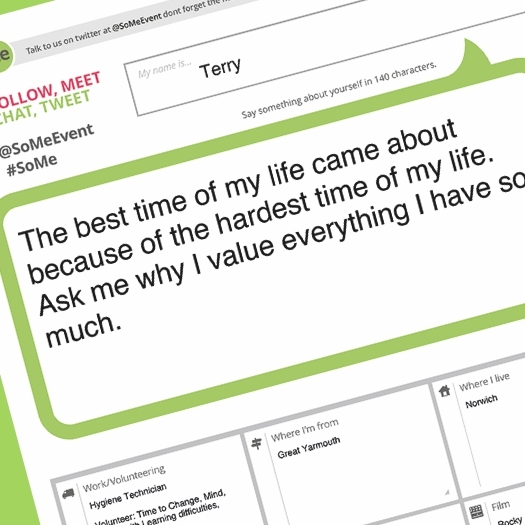 SoMe is a social contact event that uses functions of social media as a mechanism to facilitate face-to-face dialogue. SoMe is designed to generate discussion and participation can inspire digital and social inclusion. 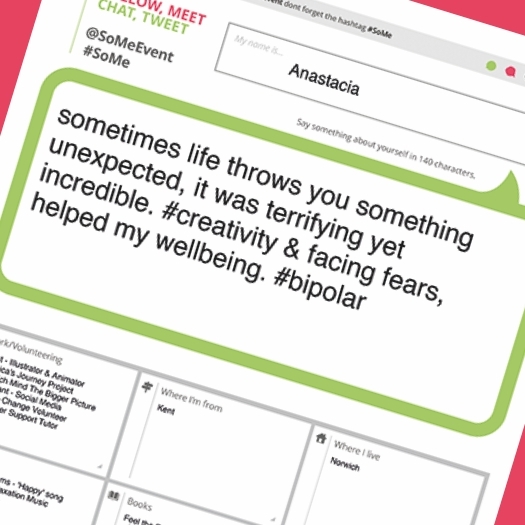 Volunteers write ‘tweets’ and profile pages about themselves that act as the catalyst to inspire another person to engage them in conversation. After the conversation, the participant is asked to evaluate their experience in 140 characters. Although the catalyst for conceiving and developing SoMe was our work around community and social issues, we know that the concept has the potential to facilitate dialogue in many different ways. As such we are currently exploring all possibilities. We have made SoMe available for other organisations or groups who wish to facilitate dialogue around social, community or environmental issues. Event guides and resources are available to download from the SoMe website. I volunteered at the first ever SoMe event in Middlesbrough. At first I was a little nervous and I didn’t know what to expect. We had the training and after creating the ‘tweet’ and ‘profile’ it felt more real. I was one of the first people chosen and after the chat it was amazing. I felt great and much more confident and open. I cannot wait to volunteer at another SoMe event.